Walking through the streets of Berlin for the first time, I can instantly feel that it is a place of great history. Old, refurbished buildings loom over the wide, clean, stone paved streets, casting shadows reminiscent of a time when this city used to be the center stage for a lot of events in German history! Although a lot of the original buildings and structures were destroyed during World War II, many have been reconstructed and restored. With the numerous museums and historical sites, it is easy to see the different historical periods during a tour within the city center. But to attempt to see it all in one day is an ambitious challenge, there is just so much history and culture saturated in one place! Although I would have preferred a cycling tour, my Mum unfortunately cant ride a bike so we ended up taking one of the many hop-on-hop-off bus tours around the city, which is an easy and fun way to explore the city, (especially on a cold and snowy day like it was). 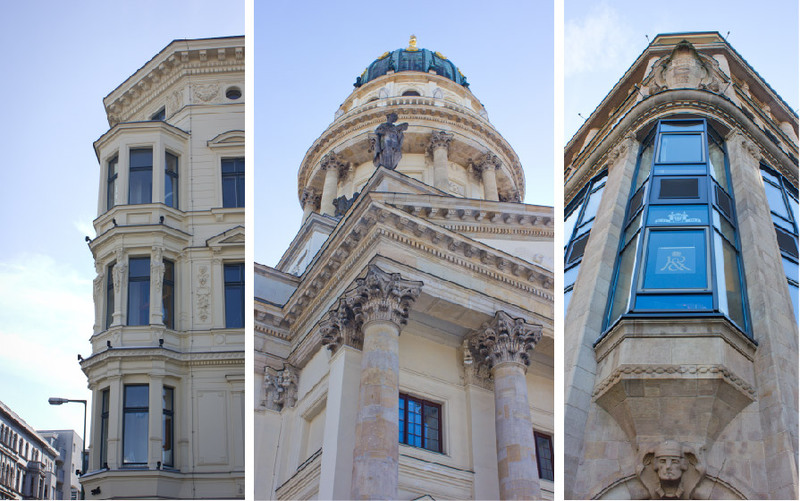 On board, you get a Berliner to guide and point out all the sites and buildings and their relevance, as well as a chance to hop off and further explore places of interest on foot, at your own time. 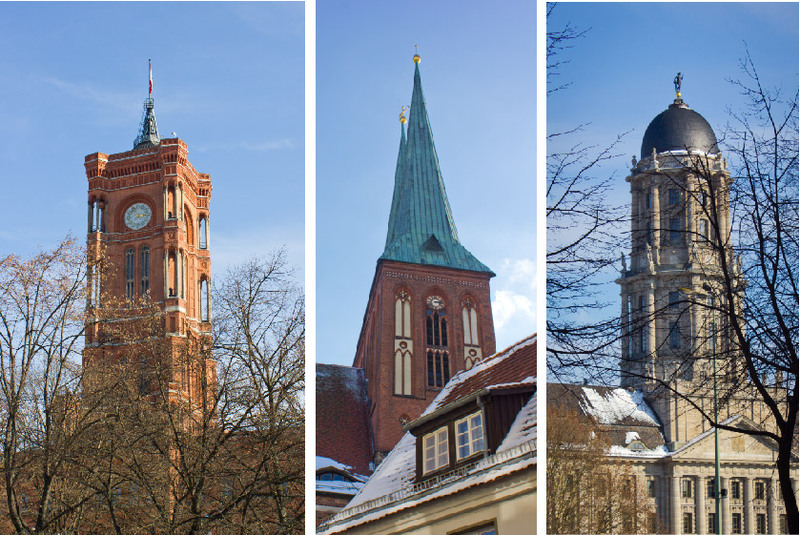 What I instantly found most striking was the varied styles of architecture, from the bleak, and somewhat dark medieval to the grand, meticulous baroque styled structures, all mixed in together with towering glass and steel structures of new modern architecture, which has reshaped the Berlin sky line! This city of rich European history is now the stage of a more artsy, cosmopolitan story. 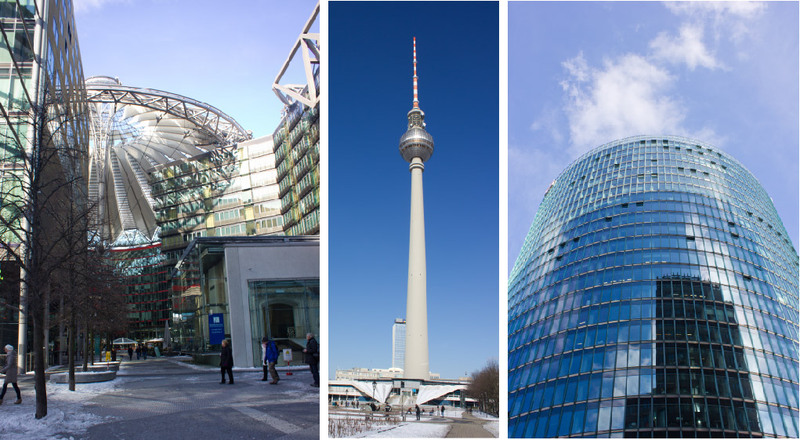 As one the richest European country, Berlin has its share of high-end designer labels and fashion houses, and chic cafes and restaurants along the shopping streets of Alexander and Postdamer Platz. But that doesn’t mean you can’t find a good bargain in Berlin! Although I wasn’t free on a Sunday (due to exhibiting at ITB) I was told that there is a charming flea market that happens every Sunday where you’re bound to find some vintage treasure at affordable prices! Overall I would describe berlin as grand, spacious, structured, cosmopolitan, with a flare of the of the avant-garde! P.S. Despite what people say about Germans, they are very friendly towards foreigners, and will go out of their way to help you, give you directions, any way they can! There were countless times when people, old and young, noticed we were a little lost, and gave us directions (without us even asking). Although most only spoke in German, they made sure they used a lot of hand gestures to help us understand. To those friendly strangers, Dankeschön !